Have you heard rumours that people have started using ultrasonic cleaners in natural therapies? You may be wondering if those rumours are true. Well, yes they are. There is an increasing movement towards the production of in-house products that advocates claim have astounding benefits for one’s well-being. And ultrasonic cleaners have a pivotal role in making these products, in Australia, New Zealand and elsewhere. At this point there are two major types of product – liposomal encapsulated vitamin C and CBD. Readers should seek their own professional medical and legal advice when considering these alternative treatments. One popular supplement is called liposomal encapsulated vitamin C which is rather expensive commercially, but is comparatively cheap if made at home. The literature claims that taken orally, the efficacy of liposomal encapsulated vitamin C is comparable to IV administration. Of course it is also far more convenient. Proponents believe that it is the powerful action of the ultrasonic effect which changes the vitamin C from an expensive secretion, to one that largely bypasses the digestive system, so that it can be retained longer within the body’s tissues, to work its magic. Follow the link below for a background story from 60 Minutes New Zealand about active New Zealand farmer Allan Smith, who escaped almost certain death, following high dosage treatment with vitamin C. He was admitted to hospital with swine flu (H1N1), but acquired a condition called white out pneumonia and also (perhaps unrelated) leukaemia. He was administered IV vitamin C and later was supplemented with high dosage vitamin C taken orally. 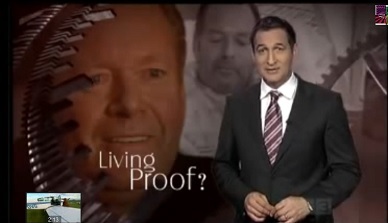 Twelve months after the episode he is active again, with no sign of the previous lung infection, nor leukaemia. This story was quickly replayed around the world, with a variety of reactions. 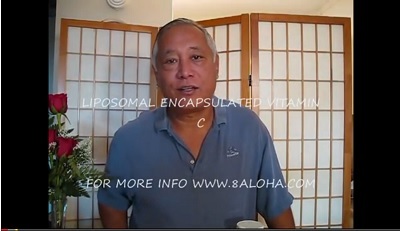 Here is another video from US practitioner Dr Mike Ihara, who describes how to produce your own liposomal vitamin C. The video is step by step and is very simple to follow. It has the usual American measures of ounces and pounds, but Australian readers will be used to converting from imperial to metric – most kitchen measures have both anyway. NB Dr Ihara is using an ultrasonic cleaner without a heater. Readers of this blog should draw their own conclusions about this subject and seek professional advice regarding their medical treatment needs. Proper hygiene precautions should always be used with any product that is to be taken orally. This includes careful cleaning of preparation surfaces and, especially, preventing toxic or harmful products from coming into contact with those surfaces. Looking for an Australian supplier of ascorbic acid (vitamin C) or lecithin so you can try making your own? The Biomed Café in Nerang QLD is one such outlet. If you are in Victoria, you could also see Graham Dixon at the Bairnsdale Nutrition Centre. Another alternative therapy uses ultrasonic cleaners to help generate Cannabidiol (CBD) oil. CBD has been used in several overseas countries, such as Israel and the USA and also in legal trials in Australia to help reduce seizures, especially where traditional anti-convulsive pharmaceuticals have failed. This treatment has come to prominence in the mainstream Australian media such as in The Project, A Current Affair (ACA) and 60 Minutes. In the USA, 14 states legalised the use of CBD for treatment of seizures (and some other complaints) as at April 2015, with other states considering the same action. Significantly, the CBD oil used in this treatment typically has extremely low levels of THC such that no psychoactive affect is apparent; and doctors in these states are prescribing CBD to help reduce seizures in their epileptic patients. A useful summary of the current situation in the USA can be gleaned from the CNN documentary videos compiled by Dr Sanjay Gupta from 2013 to 2015. One of the most publicised Australian stories involves (previously) gravely ill paediatric epilepsy patient – Deisha Magic-Stevens from Coffs Harbour NSW. Deisha’s family recently celebrated her first ever anniversary of being completely seizure free and thriving. This follows her receiving CBD oil treatment for more than 12 months. This legal trial was only possible through the support of the NSW Premier, Mike Baird and local politicians Andrew Fraser MP and Catherine Cusack MLC. 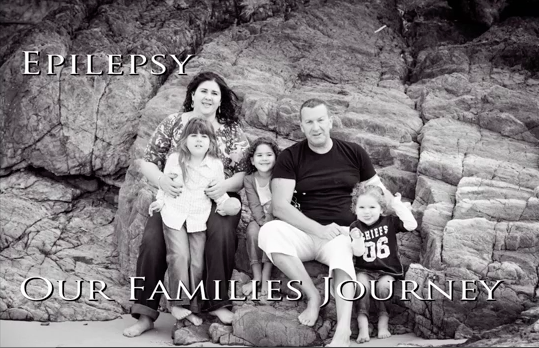 Deisha’s father, David Stevens has put together a video of Deisha’s journey from despair to recovery below. Any parent will want a full box of tissues handy – it is a heart-wrenching story, thankfully with a happy ending. David Stevens shows how he prepares the CBD oil treatment for Deisha in this video. NB He uses an ultrasonic cleaner/sonicator with heater. Once again, we encourage you to draw your own conclusions and to seek professional medical and/or legal advice before following any treatments shown in videos linked from this site. Liquid Glass Oz designs quality ultrasonic cleaners for commercial operations in Australia and New Zealand (N18973).